“I am delighted to unveil this concept which signposts the future generation of SsangYong cars. XAVL is a further iteration of the XAV concept we presented at the Frankfurt motor show in 2015. 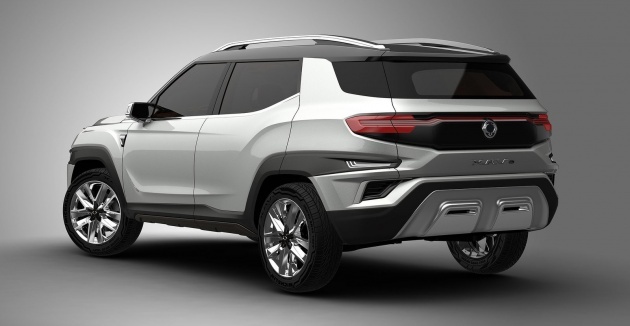 This concept draws heavily on our heritage, and unashamedly takes its design inspiration from our classic and iconic Korando model of the 1990s,” said SsangYong CEO Johng-sik Choi. 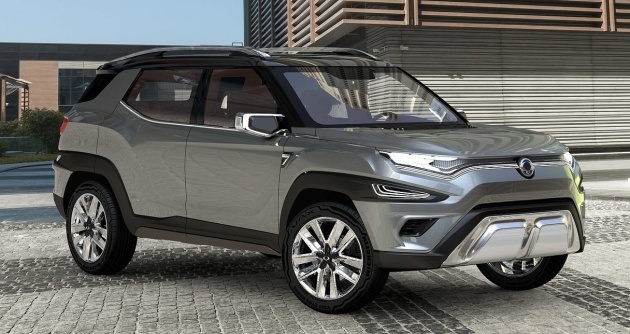 The XAVL – which stands for “eXciting Authentic Vehicle Long” – comes with seven individual seats (in a 2-3-2 layout) and aims to be a mid-size SUV that combines off-road capability with the practicality of an MPV. The second and third row seats of this “authentic off-road SUV” all fold and slide. Mooted engines include turbocharged 1.5 litre petrol and 1.6 litre diesel units, matched with six-speed manual and automatic transmissions. Besides the usual active safety kit such as AEB and RCTA, the SsangYong XAVL boasts a central airbag between the driver and front seat passenger, plus an external airbag for pedestrians. We’re not sure how the former works, or if it will end up in the production car. The original XAV concept was a five seater, so this could hint at a production XAV that will be available in two sizes, following in the footsteps of the Tivoli and Tivoli XLV. At 4,630 mm long, the XAVL is 440 mm longer than the XAV concept, and its 2,775 mm wheelbase is 175 mm longer. The XAVL features a more modern design compared to the retro-themed XAV-Adventure, with a sleeker profile, cleaner surfaces and slim, futuristic head- and tail light units. Inside, you’re welcome to spot the many sources of inspiration. We’ll start the ball rolling with the Jaguar-style rotary gear selector and the BMW-style freestanding display. Wow look at that design! To be honest, it looks quite good actually. A far shift from the conventional ssyangyong odd looking design in many of their past vehicles. Good job. Is having a small or less Bumper the “in” thing Now ??! Look at this SaangYong & the Sienta, they both have very small bumper. Their design is improving, tone down this concept and it gonna sell well.